The systems of the BTS 8104 family are designed as reversing systems and are based on the capacitive technology. They are directly applied immediately behind the calibration cage on the bubble and therefore offer a very fast and efficient control. Adaptive reversing speed allows an ideal adjusting of the measurement to each step of the extrusion process. Therefore, these systems present the basis for a perfect film production regarding quality and material input. 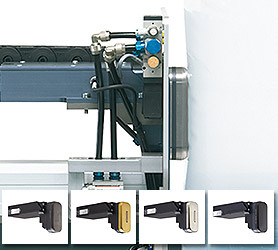 The BTS family are designed as reversing and traversing measurement systems equipped with capacitive sensors. The innovative technology allows extreme precise measurements for increased production efficiency. The non-contact version thicknessCONTROL BTS 8104.NC is based on a patented pneumatic position control. This version works with the non-contact air bearing technology which allows a perfect compensation of the movement on the bubble. The BTS 8104.C is designed for reversing measurements after the extrusion. The capacitive sensor is available with different coatings. 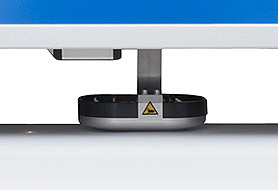 The BTS 8104.C is designed for measurements on flat films. 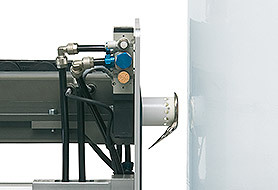 The capacitive sensor is easy to adapt in existing process lines.